Does an Incremental Exercise Test for Valid V̇O2max Determination Really Need to Last Between 8 and 12 Minutes? A widely cited recommendation is that to elicit valid maximal oxygen uptake (V̇O2max) values, incremental exercise tests should last between 8 and 12 minutes. However, this recommendation originated from the findings of a single experimental study conducted by Buchfuhrer et al. in 1983. Although this study is an important contribution to scientific knowledge, it should not be viewed as sufficient evidence to support the recommendation for eliciting valid V̇O2max values. At least eight studies have reported that durations as short as 5 minutes and as long as 26 minutes elicit V̇O2max values similar to those derived from tests of 8–12 minutes’ duration. 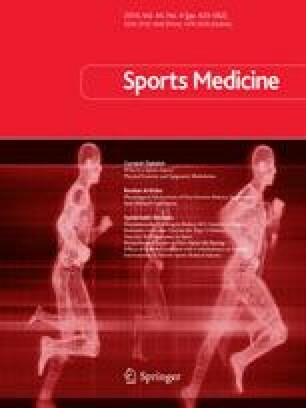 Two studies reported that the shorter test protocols elicited significantly higher V̇O2max V̇O2max values determined during tests of 8–12 minutes than during more prolonged tests, the prolonged tests were associated with maximal treadmill grades of 20–25%, compared with 6–10% in the shorter tests. Therefore, intolerable treadmill grades, rather than the prolonged test duration, may have limited the ability to elicit V̇O2max. In view of the available evidence, test administrators, reviewers and journal editors should not view 8–12 minutes’ duration for incremental exercise tests as obligatory for valid V̇O2max determination. Current evidence suggests that to elicit valid V̇O2max values, cycle ergometer tests should last between 7 and 26 minutes and treadmill tests between 5 and 26 minutes. This is dependent on the qualification that short tests are preceded by an adequate warm-up and that treadmill grades do not exceed 15%. Current research is too limited to indicate appropriate test duration ranges for discontinuous test protocols, or protocols incorporating high treadmill grades.